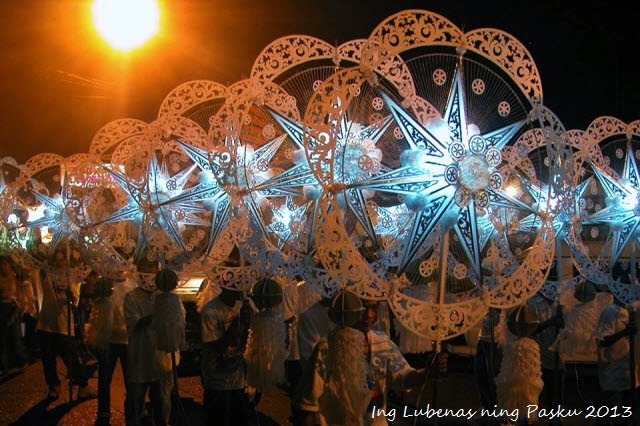 Ing Lubenas ning Pasku will once again light up the streets of Angeles City on December 14, 2013 as lanterns intricately decorated with delicate lace patterns parade around the streets of the city. This year, 16 parishes/barangays will participate in the parade which will start at 7:00pm at the Plaza Angel, Angeles Heritage District, located in front of the Holy Rosary Parish Church. The Kapampangan term “lubenas”, which was derived from Spanish terms “luz” and “novena”, has been referred to as the nine-day of prayer-worship observed prior to the birth of Jesus on Christmas Day. 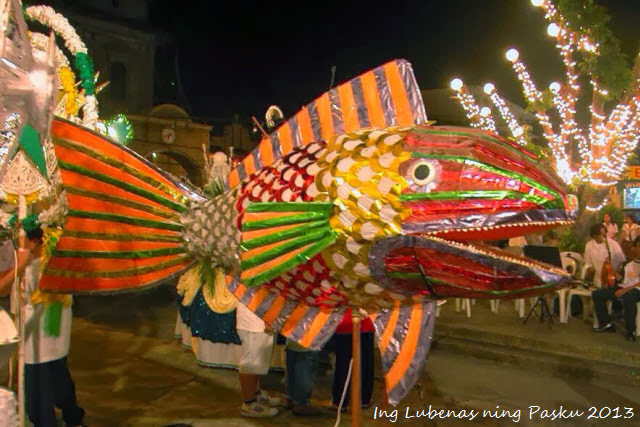 This tradition has been highly identifiable with a lanterns’ parade, preceding the community’s patron saint and Christmas figures, symbolic of the lubenas’ intentions (such as fish for posterity, dove for peace, lamb for sacrifice, etc. ), all accompanied by the solemn chanting, guitar-strumming and a distinct drum-beating, as witnessed by the residents of the community all lined up along the path of the procession. The “Lubenas” depicts the religious and cultural traditions of the Kapampangans, in celebration of the Yuletide Season. Adults and children alike always render with enthusiasm their voluntary participation to the lubenas, as demonstration of their utmost devotion to their patron saints, whose respective barangays were named after. Even as this unique custom was practiced for more than a hundred years, sadly though, it has been less and less observed, and is facing near extinction due to modernization of the times. 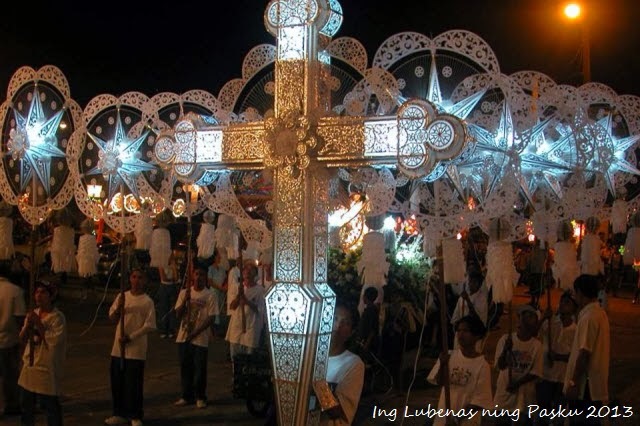 Thus, it is the noble mission of the Kuliat Foundation Inc., the Holy Rosary Parish Pastoral Council and the Angeles City Local Government through the Angeles City Tourism Office to resuscitate this colorful tradition through an annual inter-barangay Christmas novena and lantern procession contest dubbed as “Ing Lubenas ning Pascu”. 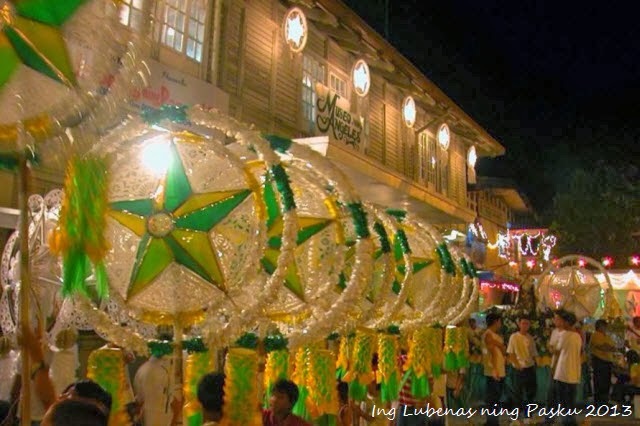 Once again, Angeles City shall witness a convergence of lubenas from each participating barangays and sitios, in a cultural parade of lanterns in one procession along the city’s historic district and downtown thoroughfares. ​Parts of the objectives are to rouse more interest in the field of local lantern-making, which the Kapampangans have been known as an expert on, both locally and globally; to encourage and resonate the spirit of volunteerism and cooperation among the members of the barangay council, the local pastoral council and the community; and to foster camaraderie among different barangays of Angeles City through a friendly, competitive scheme. Best Lubenas Presentation, Best Symbolic Theme and Best Lantern Procession Display shall be chosen by a distinguished panel of judges this year and in the years to come.